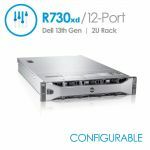 The Dell PowerEdge R320 delivers powerful performance and enterprise-class, high-availability capabilities in a 1-socket, 1U rack-mount server chassis. 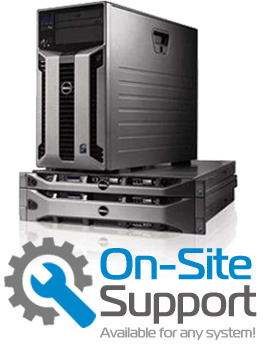 The R320's configuration flexibility, increased internal storage, and straight forward systems management make it an excellent fit for web hosting and serving, file and print serving, and other general-purpose applications in space-constrained locations. 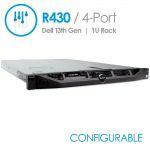 The R320 features up to 100% more processor cores, enterprise-class RAS features including memory sparing and memory mirroring, and 100% more internal hard drives than the previous-generation R310.The R320 is an excellent fit for web, file and print serving as well as smaller scale hosting and e-commerce, retail server, workgroup server and smaller scale virtualization in space-constrained, small-medium business locations and departmental and remote sites of large businesses and public organizations. Intel C600 series chipset - The Intel Platform Controller Hub (PCH) chip is implemented on the R320 server. Advanced power management - The R320 supports advanced power monitoring and power capping tools that can help manage power consumption. 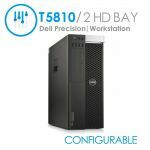 Fresh Air cooling - Dell has tested and validated an integrated data center solution that enables you to operate at higher temperatures or even chiller-less. 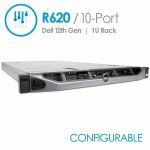 Failsafe hypervisors- The internal dual SD module enables Dell's unique Failsafe Virtualization architecture, ensuring uptime by providing failover capability for embedded hypervisors, such as VMware® vSphere® ESXi™ and Microsoft Windows Server 2012 Hyper-V.
More information can be found on the official Dell PowerEdge R320 Specs PDF.